When it comes to finding her leading man, will it be Love, Actually or a Runaway Bride? Kenzi Shaw has her life scripted out down to the last line - the career she's building as an up-and-coming marketing exec, the gorgeous fiancé (Bradley) she'll marry in a fairytale wedding, the children they'll raise in her dream home. But when heart-breaking ex Shane comes back into her life, life starts going off the script . . .Shane tries to win Kenzi over by re-enacting all the rom com movies they used to watch together - Sleepless in Seattle, Bridget Jones' Diary, Pretty Woman and Dirty Dancing to name a few. He's just a guy, standing in front of a girl, asking her to trust him again. But has he really changed? Not only is her head in a spin over Shane, but now her job is on the line. And with her perfect sister in law showing up every tiny thing Kenzi does wrong, she feels like she's permanently in the corner.Should she risk her sensible life for the chance of a Happy Ever After? One thing's for sure, when Shane meets Kenzi (again), she's suddenly not so sure just who her leading man is . . .
Firstly can we start with some serious cover love!! Absolute gorgeous. Definitely a pick me up now book! I really really enjoyed Love Like the Movies, it really managed to stand out from other chick lit novels, which I think is becoming increasingly harder to do, so this was a big plus for me. 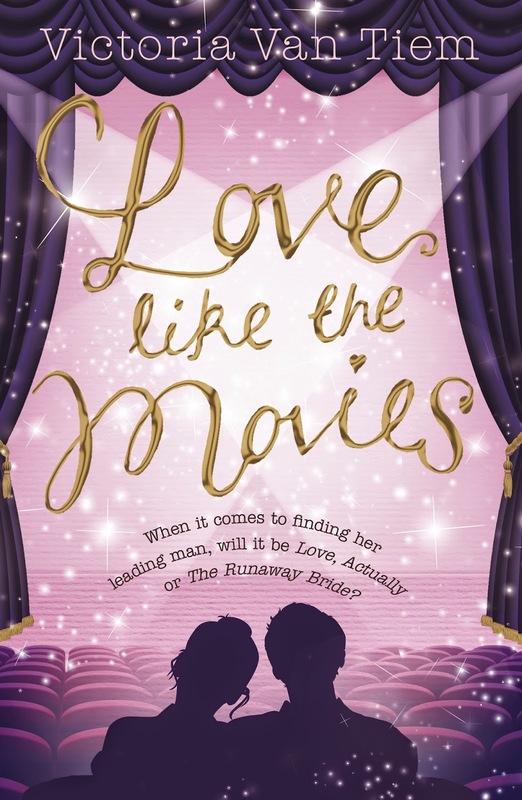 Love like the Movies centers on Kenzi aka Kensington (cool name!) She knows how her story is going to go. She's engaged to the lovely Bradley who everyone in her family approves of and she will get that fairytale wedding. Kenzi seems to always pay second fiddle to her brother in her family so she's hoping to be the one in the limelight for once. But then Shane her past boyfriend who broke her heart turns up as a client at the Marketing Agency that Kenzi works at, her story might not stick to the script. Whilst Kenzi is reliving the scenes from her favourite rom-com movies, she is also starring in her own romantic comedy. And although Kenzi may not see the funny side, it definitely has a highly comedic value for the reader. Kenzi is a highly likeable character and you do feel her pain when she is trying to decide between Shane and Bradley. There are also some great twists and a lot of drama, that just when you think it has reached the end, or can't think where it can go from here, you turn the next page to some more shocking revelations! A really fun, light-hearted read and a must for all romantic comedy fans.